Do you want more referrals? Are you referable? 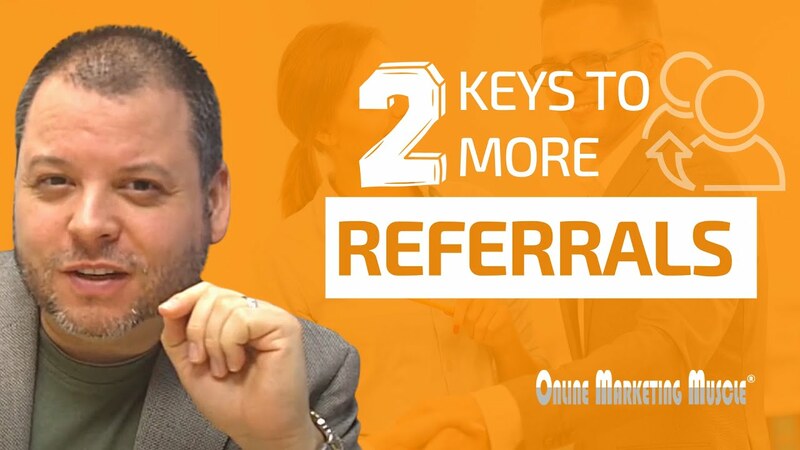 In this video I lay out 2 keys to significantly increase your chances for referrals. Thanks for this, Dean. It was very helpful and informative and just the reminder I needed! My business growth happens primarily via referrals, so this video was very relevant for me! Thanks for the tips. Referrals are key– even for me as a blogger! Spreading the love helps me get page views! Yes they are Elizabeth! Wishing you lots of luck with your blog! 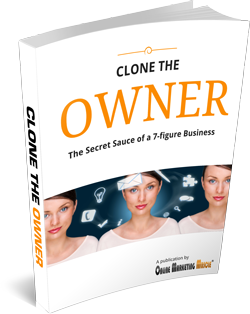 This is very important for any business owner to make a note of! Referrals are important. the best advertisement is word of mouth. I agree, it is the best advertisement Erica! We are in the planing stages of a business so every little bit helps! Good luck to you Heather! Check back every week for great tips! Referrals are so important for any business. Thanks for sharing this video. You are very welcome Pam! Many of my best opportunities have been from referrals. It’s great to spread the love. Ours too Angela. There is nothing like a referral from a satisfied client. Good tips. I always try to do the “plus one.” Going above and beyond is a great way to get referrals. Great things to think about! I would love to get more readers to refer their friends and family to my site! Thank you for the tips! You are so welcome Amy! Thanks for your comment! He honestly makes really great points. I’ve done what he’s saying about giving to get so I know what he means with that first hand in terms of my online presence. Finally, I’m making the connections and things that I need and I’ve actually started to make money from doing what I love. So glad to hear that some of our tips are working for you Brittnei! There’s no question to the value of referrals. They have a lot of impact, sometimes more than straight-up marketing. I agree Liz! Nothing like someone giving an enthusiastic referral for what you do. Referrals are a huge key for bloggers! I need them all the time! Referrals, and word of mouth… these are the two things that have kept me moving forward in my work! Thank you for this. You are very welcome Danielle! I really believe referrals are the best way to gain lasting business. Word of mouth does wonders! I agree Danielle, there really is nothing better than someone else vouching for you and your business. Especially when they are enthusiastic about why they need to use Your services. Referrals are SO important. I cringe when I see folks unwilling to do any referrals. This is great information! Referrals are so important in growing a business. Referrals are great, I love when a sponsor comes to me through a referral. Means someone thinks I do good work! Yes they are Lisa! Thanks for your comment!